ASEDA These are a variation without any bubbles. The small ones are approximately 176mm tall. 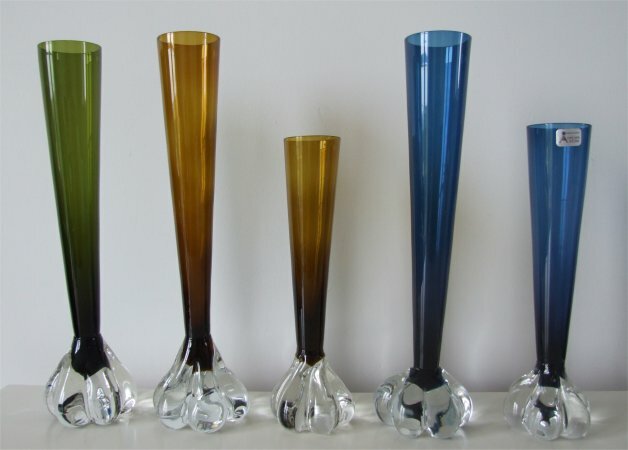 The tall ones are approximately 227mm. The bases are shaped just like a garlic bulb, with six lobes. They have slightly concave bottoms. 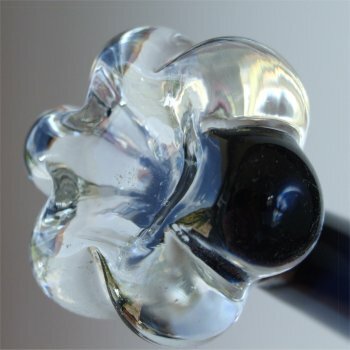 The stems have a wider flare than average, the tall ones being approximately 35mm (1 & 5/10ths inches) and the small approximately 33mm (1 & 3/10ths inches) in diameter. Shown here in olive green, dark amber and blue. 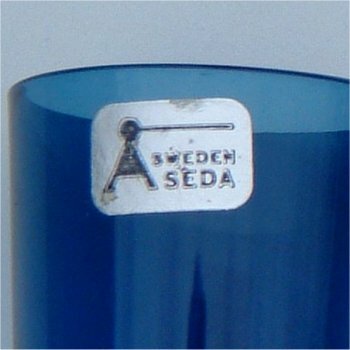 The paper label is a metallic silver with black writing stating Aseda Sweden. (see image below ). 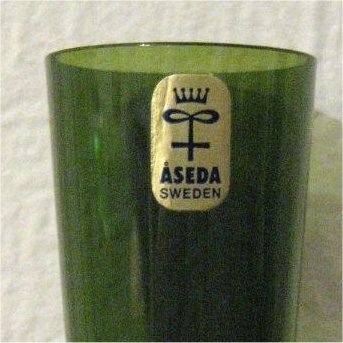 The company was Aseda Glasbruk (c1960-c1970), a glassworks in Sweden. The following images have been kindly sent by Tina Thompson which show a different label.